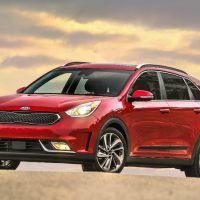 The all-new 2017 Kia Niro Hybrid stacks up against some pretty stiff competition in the hybrid crossover segment. 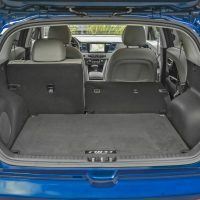 The small crossover competes against the number one selling Toyota Prius, popular Ford C-Max Hybrid wagon, and Toyota RAV4 Hybrid. 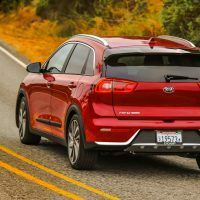 However, it’s got a lot of appeal for crossover shoppers with its stylish exterior design, fuel-sipping drivetrain, and crossover utility. 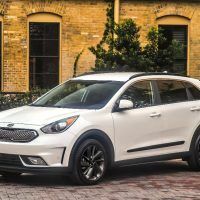 This week we drove the 2017 Kia Niro Hybrid Touring, the top trim level. 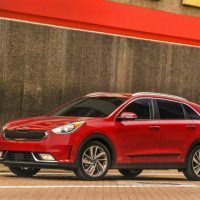 The 2017 Niro is an all-new model in the Kia lineup. The well-equipped Touring offers up a host of modern comfort features for consumers. 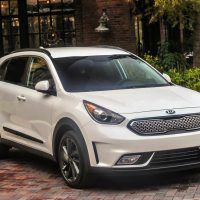 The Touring trim ($29,650) comes standard with 18-inch wheels, front and rear parking sensors, black front grille trim, a sunroof, door scuff plates, driver’s seat memory settings, ventilated and heated front seats, and a heated steering wheel. 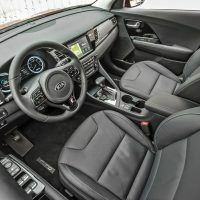 Other creature comforts include leather upholstery, a larger 8-inch touchscreen infotainment system with navigation, HD and satellite radio, an eight-speaker Harman Kardon sound system, and LED interior lights. Options on our Touring tester included the Advanced Tech Package ($1,900) with active safety systems like lane departure warning, automatic emergency braking, adaptive cruise control, and forward collision warning. It also came with a 115 volt inverter and wireless phone charger. Total MSRP including destination: $32,840. 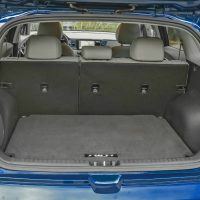 The first thing we noticed upon getting this Niro Touring tester was the ease of entry. The Niro sits up a bit higher and getting in and out is easier than many small crossovers. My 6’ 8” passenger this week commented on the abundant headroom, a plus for taller drivers. As is typical for this price point, there’s still some hard surfaces that cover the doors, dash, and center console areas. 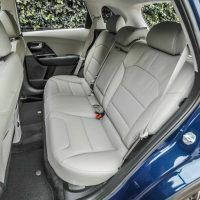 There are soft-touch surfaces on the upper parts of the dash and armrests, however. 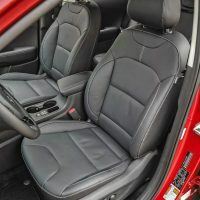 The tilt-and-telescoping steering wheel and power driver’s seat have two-way lumbar and height adjustments that made it easy to find the perfect driving position. 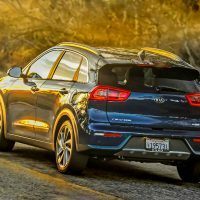 We put a lot of miles on our Niro but never felt tired or fatigued after longer trips. In the back, there’s ample head and legroom, but there was no room behind my tall passenger when he moved the seat back to accommodate his 6’ 8” frame. Still, the rear seats split 60/40 and fold perfectly flat for a nice load floor. We had to load nine long boxes this week, and the small crossover had enough room for the extra cargo. There’s 19.4 cubic feet with all seats in place and 54.5 cubes when folded flat. 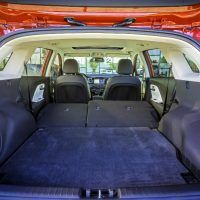 The rear hatch makes it convenient to load groceries and the kid’s sports equipment. 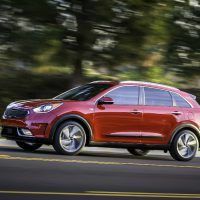 The 2017 Kia Niro is powered by a 1.6-liter four-cylinder hybrid-electric powertrain, producing 139 horsepower and 195 lb-ft. of torque. 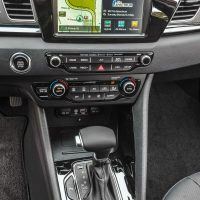 Power is sent to the front wheels via a six-speed, dual-clutch automatic transmission in lieu of the more conventional, continuously variable transmission (CVT) like we see on most small crossovers. Unfortunately, all-wheel drive is not available. EPA-estimates are 46/40 city/highway and 43 combined mpg. 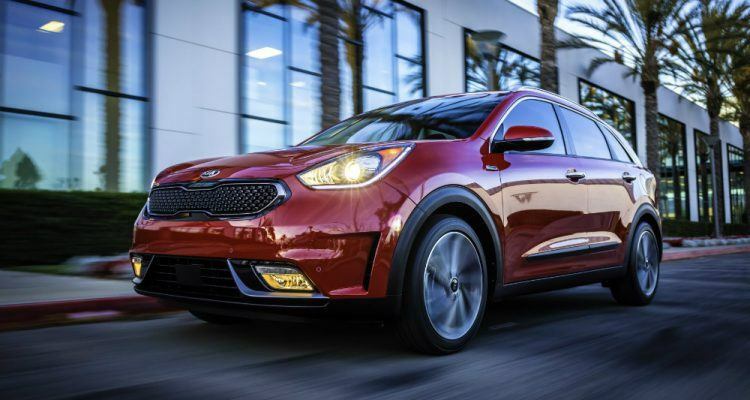 The 2017 Kia Niro delivers a satisfying driving experience in the city and on the open road. We experienced a fair amount of both this week as we traveled the city streets of Denver, and on the open road between Denver and Colorado Springs. 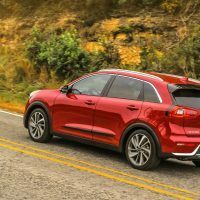 The Niro is an ideal size vehicle for navigating busy streets as we made multiple U-turns, and had to cut across lanes of traffic to catch our exit. On the open highway, there was a bit of road noise as we traveled 75 mph (yes that’s the speed limit) on the way to Colorado Springs. 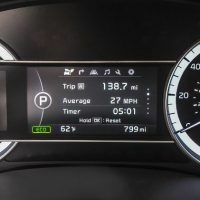 We especially enjoyed the Smart Cruise Control that not only keeps you at a constant speed, but will slow you down if you approach another car. It then gets the vehicle back up to your set speed when the traffic flow gets back to normal. It does all this without you ever touching the brake or gas pedal. 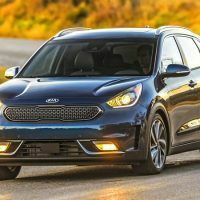 The Niro stayed planted in the tight mountain curves, thanks to a lower center of gravity because the batteries are mounted beneath the rear passenger seat. 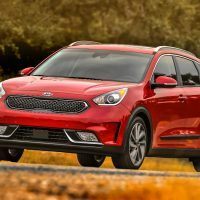 We thought the Niro handled more like a car than a crossover. With the six-speed automatic transmission, shifts come quick and smooth, providing a more pleasant driving experience when compared to a CVT automatic. 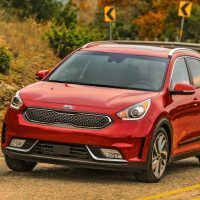 Overall, the new 2017 Kia Niro is a good city commuter, and should be a vehicle families check out. 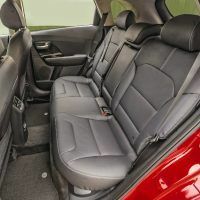 It gets excellent fuel mileage, has ample head and legroom for taller drivers, and it has the utility of a hatchback. It’s a pleasant ride at high cruising speeds or in stop-and-go city traffic. 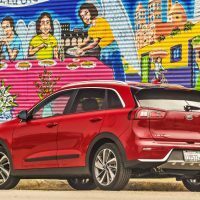 No Comments on "2017 Kia Niro Hybrid Touring Review"